It is December 1st! How did that happen? With every new month, and especially every new year, it always seems like a good time to me to start a “habit”. 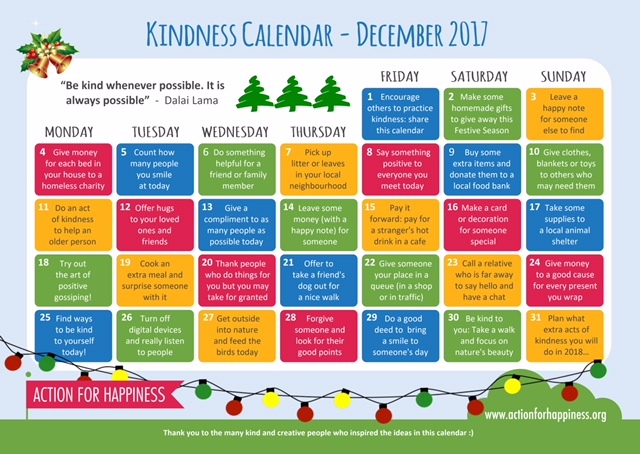 I came across this Kindness Calendar on the Action for Happiness website and thought, this is great! With everything going on in the world, we truly need more kindness. I invite you to join me on this “kindness adventure”. Day one – complete!